What are your plans for the coming weekend? If f you want to satisfy your culinary cravings this weekend, you’re just lucky to have two choices! The Mezza Norte night food market opens in Quezon City on Thursday and the Ulimate Taste Test holds its ninth round in Alabang on Sunday! From the organizers of the popular Mercato Centrale food market in Bonifacio Global City, Mezza Norte in UP-AyalaLand Technohub along Commonwealth Avenue, Quezon City brings together the best in home-cooked foods and pastry and dessert finds that the North has to offer, along with your Mercato Centrale favorite food stands! 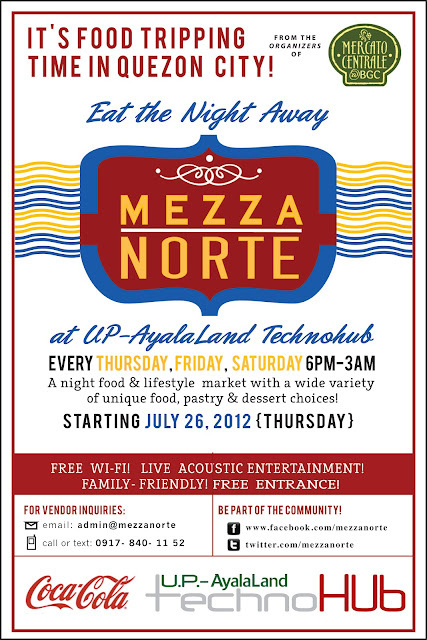 Mezza Norte opens on Thursday (July 26) and will be open every Thursday, Friday and Saturday from 6:00pm to 3:00am. 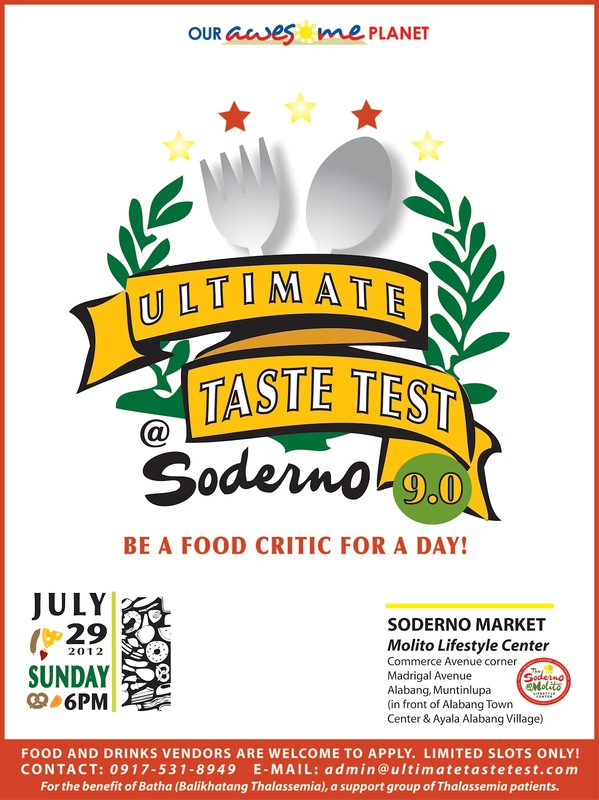 This event is organized by Anton Diaz, the man behind the popular food and travel blog www.OurAwesomePlanet.com, the Ultimate Taste Test 9.0 is an opportunity to try out and personally critique different specialty foods and new or soon-to-be-launched dishes straight from the kitchens of up and coming and popular food entrepreneurs from all over Metro Manila.